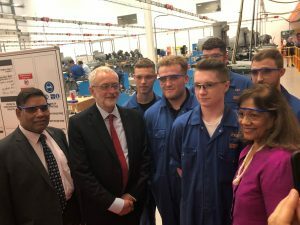 I was delighted to be able to join Rt Hon Jeremy Corbyn MP in Birmingham on 24 July where I chaired a Q&A session at the Engineering Employers’ Federation (EEF). I had a tour of the EEF Technology Hub which offers training opportunities to apprentices from its member companies. The Hub has up-to-date technology including robotics and trains apprentices how to develop their problem solving skills and how to become more efficient. I encourage small businesses in Walsall South to find out how the EEF, which is on our doorstep, can help train our workforce in the UK for the future. I am pictured on the right with the current apprentices. You can find out more about the EEF here. 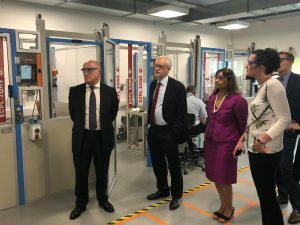 I am pictured below with Stephen Phipson, CEO of EEF, Rt Hon Jeremy Corbyn MP and Rachel Eldridge, Operations Director at Eminox Ltd.